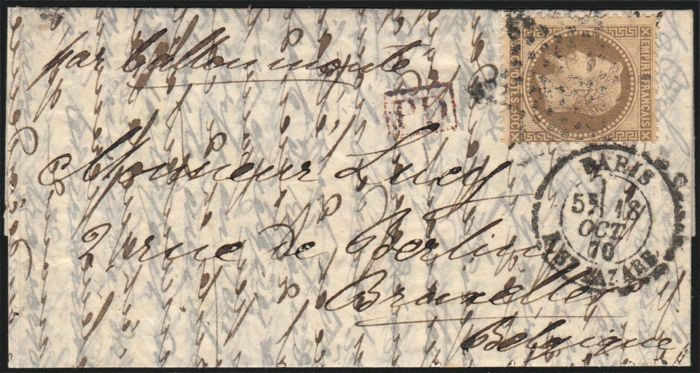 Balloon mail "Le Lafayette", Empire Napoleon with laurel wreath 30 C cancelled brown star + date cachet PARIS R. SAINT-LAZARE 18/OCT/1870 on a letter with correspondence destined for Brussels (Belgium). 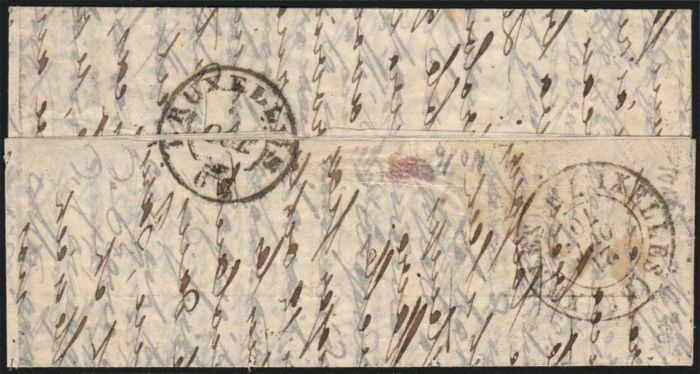 On the front side: red PD postmark. 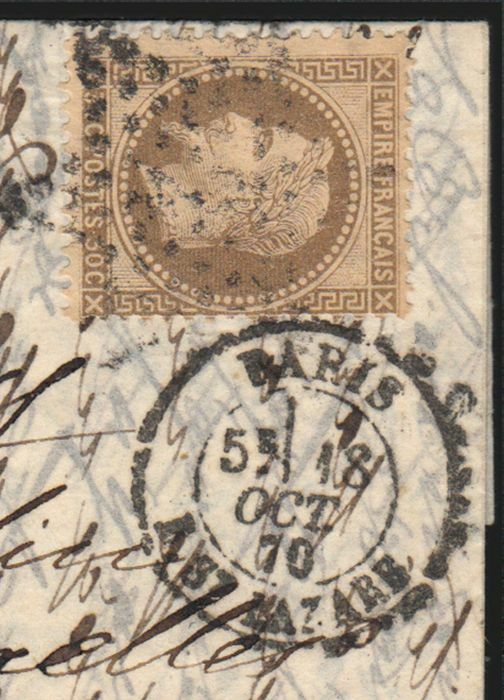 On the back, date cachet on arrival BRUXELLES 21/OCT/1870 - TB. Objet conforme et envoi rapide.